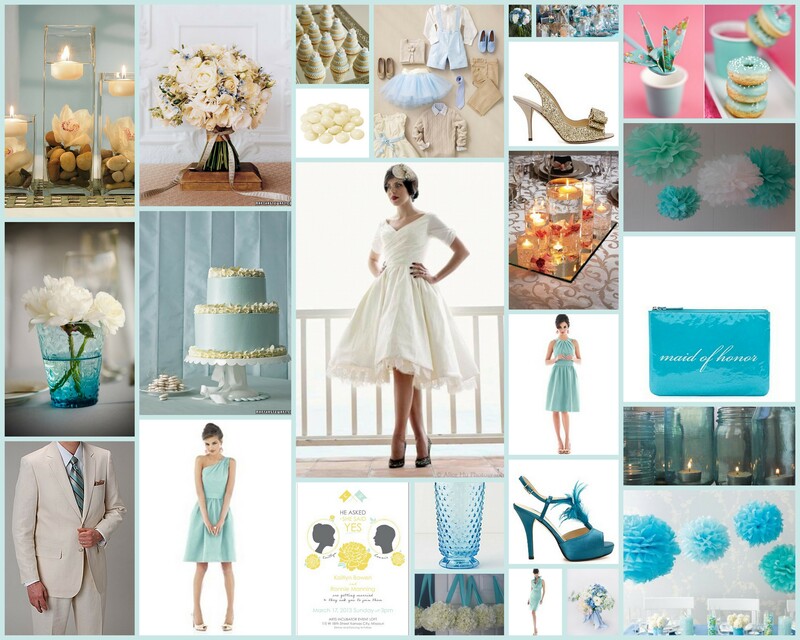 Here is the design board I created for my sister’s wedding, who’s still in full wedding planning mode. The idea is to keep it simple, yet elegant at the same time. I love her choice of light blue paired with a soft neutral (beige) for her color palette. It is truly chic and understated. One budget-worthy idea I include in this design is setting up single bloom flowers in small glasses or jars, set on mirrors with glowing tea lights. You can recreate this at your own event by buying small inexpensive mirrors and tea lights at somewhere like Ikea, and amass a collection of similar-colored glasses from local thrift shops. Then, just stop by the local florist to pick up your selection of single bloom flowers the night before your big event. Go with what’s in season to save money. Hope you enjoy my board and tips. « natural vs. organic…what’s best for our little ones?